JAINA Newsletter:JAINA Convention 2019, Jain Milan 2019, Jain Center News, Jain Story etc. The JAINA 2019 Convention Board, 40 Committees, along with over 250 Volunteers have been diligently working hard to make the 20th Biennial JAINA Convention in Los Angeles a memorable event for you and your family. Even you can participate and contribute in JAINA Convention 2019 by becoming a Major Sponsor, Sponsoring an Event or Speaker, or by Advertising in the JAINA Convention Souvenir Book. Details are given below. Jain Milan team is super excited to welcome you at Jain Milan 2019. Are you ready? Just few days are left to this opportunity which helps youth to meet each other in person and help to find their life partner in a fun and interactive environment. Registration and other details are below. Other beings perceive through their senses whereas the Sramana perceives through the Agama. Q 1: How can you get rid of the Jnanavarniya Karma? Q 2: What happens when you get rid of the Jnanavarniya Karma? The JAINA 2019 Convention Board, 40 Committees, along with over 250 Volunteers have been diligently working hard to make the 20th Biennial JAINA Convention in Los Angeles a memorable event for you and your family. We know and appreciate that such events are possible only through Outstanding Support and Generous Contributions from our Leaders like yourself and many young and adult Volunteers of our community. We sincerely appreciate your generous donations and leadership support that you have so kindly provided throughout the past and we look forward to your contributions to help bring our community together and continue to cherish, preserve and rejuvenate our culture and heritage.You will be able to Participate and Contribute by becoming a Major Sponsor, Sponsoring an Event or Speaker, or by Advertising in the JAINA Convention Souvenir Book. 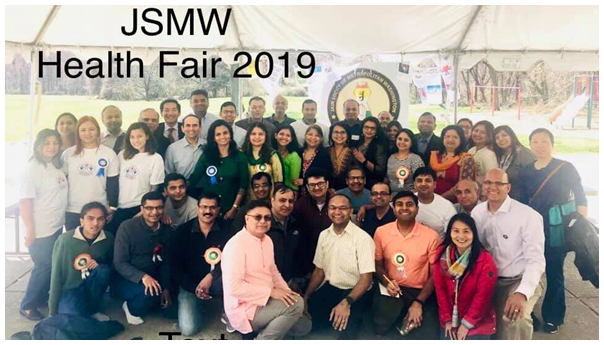 Recently, the Jain Society of Metropolitan Washington (JSMW) conducted a Health Fair during National Public Health Week. JSMW is thankful for great teamwork by all doctors and volunteers for their service to the society. Services provided included lab consults, health resources and referrals, nutrition, health screenings and more. During this fair lectures were also given on diabetes and cardiac health. Jain Milan team cordially invites you to Jain Milan 2019 - New Jersey from April 19 - 21, 2019. We thank you for all your support as we are expecting a record number of participants. Jain Milan is an opportunity for Jain youths above the age of 21+ from across North America to meet in person to help facilitate networking and helping you find a life partner in a fun and interactive environment. 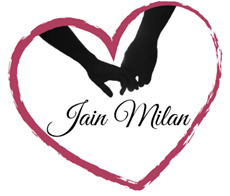 In the past, Jain Milan sessions facilitated the interactions through Ice-breakers, Interactive sessions, Speed dating, Mixers, Meet & Greet Events, Relationship Workshops, Social Lounge, River Cruise, Raas-Garba & more events. You do not want to miss this amazing opportunity to interact with other youths and finding other Jain’s for the purpose of matrimonial. We would really appreciate if you could share the details with people who you know are searching for their life partner and would be interested in meeting them in an interactive and fun environment. We have people from all over the world including India attending this event. Questions? please email to jainmilan@jaina.org. If someone utters the word upadhyayji it would mean Shrimad Yashovijayji Upadhyay. 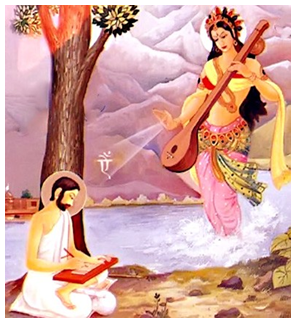 ‘So says Upadhyayji’ is regarded as the final word and ultimate authority in scriptural matters. His contemporary monks regarded him as the sarvajna (omniscient) in matters of the scriptures and also as shrutkevali (scripture – omniscient). Author of more than 100 books in Sanskrit, Prakrut and Gujarati, he also earned the titles of Tattvavisharad and Kurchatsharda. Besides writing the books that were theoretical and academic, he composed poems that were immensely popular. On March 2, 2019, YJP had two events in different cities. 1) They officially launched a new YJP chapter in Owensboro, Kentucky - the first event of its kind in the state. The group came together and hosted their National Dinner at Mellow Mushroom This is a proud moment for YJP and for all Jains, as it is a testament of our growing presence in new cities. We celebrate YJP Kentucky and look forward to great things to come from this. 2) YJP San Jose held its National Dinner at Vegetarian House in San Jose, California. A combination of great company, good food, and a breathtaking ambiance, this was an experience to remember and a beginning of many more events to come in San Jose! A 1: Worship knowledge. Give reverence, respect to the teachers, pay respect to the books because it represents the knowledge. Do not throw, fold or sit on books. Go to the religious school regularly. Study silently with humility and attentions. As a student, keep off the bad habits and keep your speech clean; conduct good and share knowledge with others. A 2: You develop Kevalgnan and you become an Anantgnani. Once the layers of Jnanavarniya Karmas disappear, the atma knows every thought of every mind, and everything in the world, and understands every living creature in this world and other worlds. Nothing is hidden or unknown to that atma.